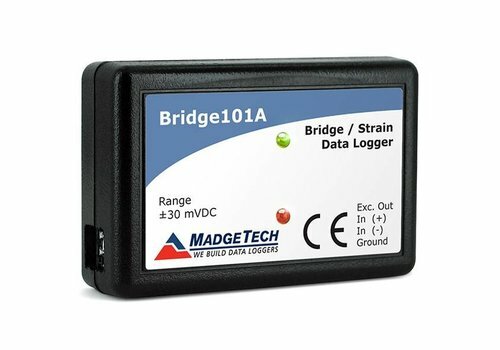 Data loggers for measuring strain gauges and sensors based on the wheatstone bridge. These are also called a micro-strain or strain-measurements. 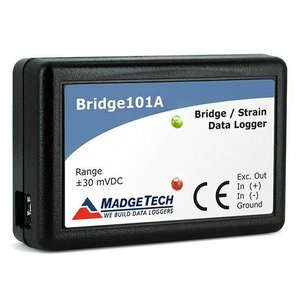 The Madgetech bridge/strain series data loggers are designed for use with strain gauges, load cells, pressure transducers and in other civil engineering applications where the collection of strain data is required. These easy-to-use devices are an ideal solution for replacing costly strip chart recorders.